Rebecca McConchie is an associate at Peck and Company. She joined the firm in 2015 after articling and working at a top criminal defence firm in Toronto. Rebecca graduated from the University of Toronto Faculty of Law in 2011. She received several awards there, including prizes for the highest marks in trial advocacy, criminal procedure, and evidence law. 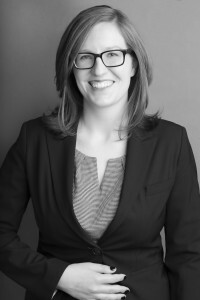 Rebecca clerked at the Ontario Superior Court after articling. She was called to the Ontario bar in 2012 and the B.C. bar in 2015. Rebecca represents clients in criminal and quasi-criminal matters at both trial and appeal. She has argued cases at all levels of court in B.C. and Ontario.